The next few paragraphs will review The Dark Knight Rises for those who have yet to see it. There will be no spoilers without notification. Christopher Nolan made it blatantly clear that this would be his final Batman movie, and fittingly, created a perfect conclusion to his storyline. More than any other Batman movie ever made, this is the story of Bruce Wayne – the man, the bat-man, the hero. For those who have yet to see The Dark Knight Rises, it is Christian Bale at his best, it is full of modern day angst, it is action-packed, it is surprisingly touching, and, most important of all, it wraps up a storyline begun seven years ago competently, organically, and most vital of all, unexpectedly. I cannot recommend The Dark Knight Rises highly enough. Now, for those of you who have seen the movie, I’d like to discuss specific aspects that I found relevant. Beware, I spoil the entire movie in the subsequent paragraphs if you haven’t yet seen it. Do NOT read on if you don’t want spoilers! The reason I largely stay away from super hero genre comic books anymore is that they are in arrested development. Superman may die, but you know he’s coming back. Batman may get his back broken, but you know it will heal. Even the three guys you knew would always stay dead – Jason Todd, Barry Allen, and Bucky Barnes – have returned. In other words, as a lover of literature, it drove me crazy that with super heroes, there was never any real risk, no true potential for change. In the end, no matter how compelling the plot, you knew the character would return to the status quo. Such is the conundrum of a character who is required to sell books month after month, year after year, decade after decade. For example, take Batman. Did you know he was created in 1939? This character has basically appeared in a comic book every single month for the last 73 years. Wrap your head around that! Bruce Wayne has died, he’s been crippled, he’s time traveled, he’s been through it all, yet he always returns, and his story always more or less remains the same. And hey, if you’re okay with that, more power to you. For me, though, it got old, and so I moved over to finite comic book series like Ex Machina, Locke & Key, DMZ, The Sandman, Promethea, and others where you knew all bets were off because these things weren’t meant to run on forever. That being said, I adore Christopher Nolan for ripping the status quo apart at its seams and actually leaving us with the implication that a new man would be suiting up to protect Gotham City. I’ll be honest, when Bruce Wayne was hauling that bomb out to sea, I thought he was going to die; I wanted him to die to really shake it up. It was obvious John Blake was intended to take his place, and Bruce himself made a point t to say the man behind the mask isn’t what’s important, it’s the symbol of Batman. So when we found Bruce alive thanks to the repaired autopilot (though no longer Bruce Wayne legally speaking), I had a brief moment of disappointment followed by pure elation. Not only did Nolan leave us with a new Batman, but he actually gave Bruce a happy ending, the one thing I don’t think has EVER happened in the comic books or any Batman storyline out there. I admired Nolan even more for that. To leave Blake as Batman, Bruce happy – what can I say? As a Batman fan for the past 32 years, I was glad to see my old friend finally get the ending he’s earned with his universe considerably altered. I’m going to be honest – because I’ve been around the block a few times with the super hero genre, when I heard Nolan cast Gordon-Levitt, I theorized Wayne would die and hand over the mask to this John Blake character. I figured this would happen for two reasons: 1) Why suddenly create a policeman character out of nowhere significantly younger than Bruce Wayne unless he had a very important role to play in Nolan’s last Batman film? 2) If they ever want to make a Justice League movie, Christian Bale’s Batman simply would not fit; they would need someone else to start anew with Batman, thus allowing a slightly more fantastical Batman that wouldn’t look out of place next to Superman, Wonder Woman, Flash, etc. I think a lot of fans speculated these same particulars, and even though I expected Gordon-Levitt to be handed the suit, I didn’t foresee it happening quite the way it did, which, again, is testament to Nolan’s creativity and bravery. Batman/Bruce Wayne – Christian Bale has always been a serviceable Bruce Wayne and an amazing Batman. The Dark Knight Rises is the first time Bale made me truly and deeply care about Bruce Wayne. In my opinion, this is Bale’s finest moment, even compared to The Fighter. I finally felt Wayne’s torment, his conflict, his passion, his anger. I told my wife I would have been really upset as a teenager because, frankly, Batman wasn’t in this movie too much – it instead focused on Bruce Wayne. But, as an older guy now, I appreciate story much more and loved that Wayne became the centerpiece of Nolan’s epic, as it should be. And when I saw that torment in Wayne’s eyes as he dragged the bomb out to sea, I assumed it was because he faced death. Instead, thanks to Bale’s magnificent acting, I now realize he struggled with giving himself a happy life and killing Batman, or dying for the city heroically, but needlessly. Bruce Wayne was the breakout character of The Dark Knight Rises. He wasn’t overshadowed by any villain or by his alter ego. Bane – I’m not a big Bane fan. In fact, when I heard Nolan was using Bane as his villain, I admittedly groaned. Bane, to me, is the offspring of the excessive 90s, a character created only to serve one purpose, to springboard an overarching plotline involving Batman’s paralysis and a pretender to the throne. Well, right off the bat, Nolan convinced me that this was not the 90s Bane. This was a vicious, calculating, impassioned man, almost the opposite of the Heath Ledger’s the Joker while also eerily similar. I was especially glad to see they left the super strength-inducing chemical Venom behind. And while I wasn’t crazy about the mask and the Darth Vader voice, it didn’t make me dislike the character. But then Nolan did the one thing I’m critical of – he made Bane a lackey. Just like the movie Batman and Robin, he reduced Bane to a villainess’ manservant. At that moment, Bane lost much of his charisma. I understand the significance of his reduction in relation to the storyline, but I didn’t like it and I believe it actually weakened the movie. But, like I said, that’s my only criticism. Catwoman/Selina Kyle – I did not see this character coming. Let’s be frank – Nolan has not had great luck with is past female characters. I fully expected Hathaway’s Catwoman to be ridiculous and irrelevant. I’m happy to say I could not have been more wrong. Hathaway did the character justice. I loved Batman Returns’ Catwoman, but that really wasn’t the comic book Catwoman, was it? I thought Nolan got the closest to the essence of Catwoman, and I was surprised at the physicality and sophistication that Hathaway brought to the role. And, as an old school Earth 2 fan, I couldn’t have been happier to see Kyle and Wayne end up together, lovers as they were destined to be. Again, Nolan got something right the comic books have found elusive for decades. Commissioner Gordon – Gary Oldman owns this role. Seriously. He IS Gordon. He brings a depth, compassion, and strength to the character I’ve never seen before. I’m seeing it now in Scott Snyder’s Batman (he brought me back to the comic book), but I think Oldman rose that particularly impressive character to new heights and the comic books are now following suit. Seriously, who wouldn’t want to see Oldman play Gordon for the rest of his career? I’m not sure Oldman himself would want that, but as a fan, it would be awesome. Alfred – I love Michael Caine the actor, but never thought he was physically right for Alfred. In the past, his acting allowed me to overcome the fact that he is not particularly tall, thin, dark headed, or mustached. But, in The Dark Knight Rises, his brief scenes brought an emotional power necessary, especially in regards to the funeral scene. I’ll admit it, when he was at the gravesite, begging Bruce’s forgiveness, I got misty eyed. You don’t expect a super hero movie to make you misty eyed, and had it been anyone other than the great Michael Caine I’m not sure it would have hit me as hard. Is he the prototypical Alfred? No, but his acting was integral to the trilogy’s overall success. John Blake – I am a Joseph Gordon-Levitt fan. I’ve loved him since 3rd Rock from the Sun. When he was cast in Inception, I felt glad for him and I was a little hopeful that he might make his way into the last Batman movie because I know Nolan likes to work with the same people. And then he was actually cast in Batman, and then I heard his character’s description, and then I got really excited because I was certain he would end up Batman. In a lot of ways, The Dark Knight Rises is as much about Blake rising to the role of Batman as it is about Wayne overcoming Bane and his own torment. 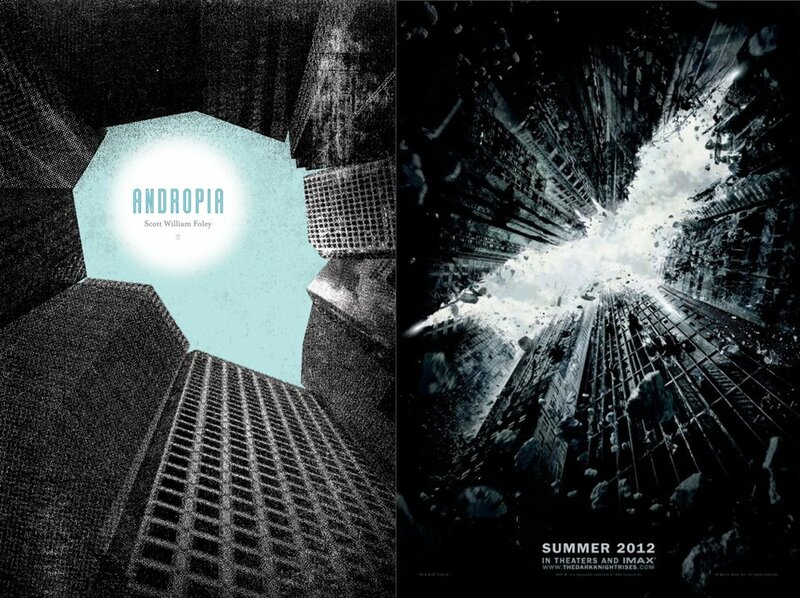 As we saw Wayne learn the ropes in Batman Begins, we see something similar from Blake. He starts out a beat cop, then makes detective thanks to his prowess, then grows into the role of hero as he realizes that law and regulations sometimes impeded justice. Nolan slowly has Blake win us over. He methodically brought forth a worthy successor to Batman and seemed to buck any comic book tradition whatsoever in doing so (though comic fans will see traces of all three past Robins in Blake). And the most convincing aspect of all that Blake has what it takes? He actually figures out who Batman is and never acted upon that knowledge until it was time to do so for the sake of the city. Those last few scenes when Blake is entering the Batcave and stands on the platform as it rises – it gave me chills. I loved Bale’s Batman, but I am now just as excited to see Gordon-Levitt’s! Will they merge Gordon-Levitt into the larger DC pantheon as Batman? I don’t know, but it would be a real shame to abandon John Blake in favor of a reboot. I mean, could fans ever really forget about Bruce’s happy ending and Blake’s ascension? If they reboot Batman like they have with other properties, would the fans really accept anything else after Nolan’s’ masterful trilogy? I don’t know, but I really and truly hope they give Gordon-Levitt a shot. Miranda Tate – I’d read online that Nolan vehemently denied Marion Cotillard would play Talia Al Ghul, and like a fool, I fell for it. Even as all the signs were there during the movie, I still didn’t consider the possibility. I mean, there she is, working on an environment-saving project with Bruce Wayne, hoping to restore the planet, and I didn’t put two and two together. It wasn’t until near the end of the movie when Bane told them to bring her to him when Gordon and the others were exiled that I began to suspect Nolan had thrown us off the scent. I was glad to see her as Talia, but, as already mentioned, disappointed at the demotion of Bane. Honestly, she was not a necessary component – they could have left well enough alone and allowed Bane to be the son of Ra’s Al Ghul, and I think he would have maintained his allure that way, but, Nolan felt differently. Again, that’s my one criticism. Whew! This has been an exhaustive analysis. If you’re still reading, thank you for your patience. To be truthful, I was not as excited to see The Dark Knight Rises as I was The Dark Knight. The Dark Knight was so, well, dark, I felt emotionally drained after watching it. It had such a tragic ending, it was so joyless, I really didn’t look forward to going through that sort of heartbreak again. The previews for The Dark Knight Rises looked equally precarious, and that, coupled with the spotlight on Bane and an actress I didn’t believe could pull off Catwoman, gave me pause. Well, I was utterly and completely wrong. The movie was perfect, gave me almost exactly what I wanted, and I cannot thank Nolan enough for presenting us with a happy ending to his Batman mythos. So what do you say, readers? An amazing coincidence, or does Jude have a fan in pretty high places?